Markets rallied on Friday as the US dollar rose against the major currencies while Treasury bonds fell on rising yields. Market sentiment was boosted by the positive employment data, which contained some “hot numbers”, but unlike back in February, the markets are probably still pricing in just two more rate hikes this year given the volatility in Europe. A recovery in European markets also boosted sentiment. Leaders of Italy’s anti-establishment parties revived coalition plans late on Thursday – which apparently has ended three months of political turmoil and avoids another election (and a referendum on the euro) in July. The new government was sworn in on Friday. 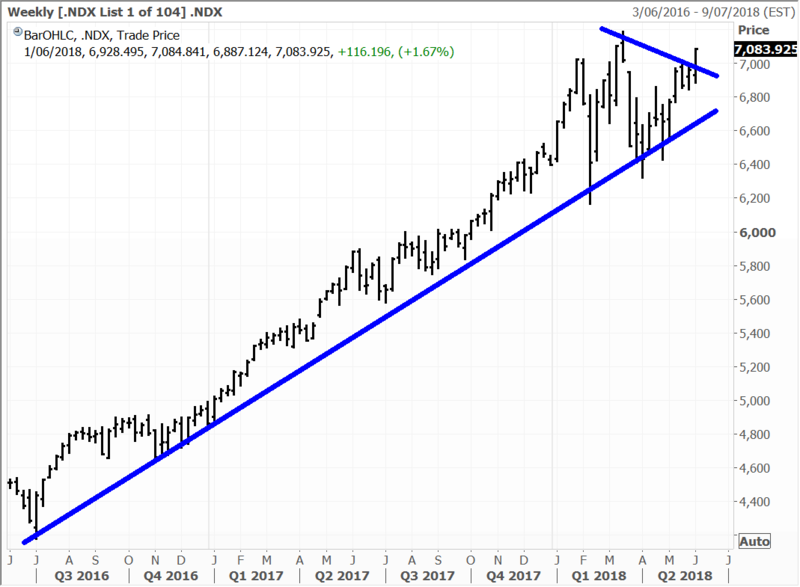 The Nasdaq appears to be following the Russell 2000 and broke out to the upside on Friday and now looks increasingly set to challenge the record highs in coming weeks. President Donald Trump said on Friday that the nuclear arms summit with North Korean leader Kim Jong Un would go ahead as scheduled on June 12 in Singapore. Trump said: “I think it’s probably going to be a very successful, ultimately a successful process. The letter from Kim was “a very nice letter … a very interesting letter”. Wasn’t the old Chinese proverb “may you live in interesting times” actually an ancient Chinese curse? “If” Donald Trump manages to disarm North Korea however – he will have achieved what no other US President had been able to over the past three decades. I have absolutely no doubt that what DJT really wants (and as we all know that’s a very big list) is to actually become “the Greatest American Hero.” Wall Street loves the narrative and sentiment was boosted in the markets after the White House statement. Mitsubishi Electric Corporation announced that it would distribute 20,000 tablets to all employees in Japan who currently use desktop computers. The plan is to facilitate a more efficient and flexible working environment in the company’s domestic workforce by March 2019. The initiative will create a mobile work-style environment for all the company’s 30,000 employees who uses PC’s. The company expects that the strategy will reduce work time by 7 hours per employee per month and additionally reduce paper-printing costs by 20% through paperless work and reduce travel expenses by 10% with online meetings and conferences. Printing and record keeping burdens are drastically reduced with digitization of meetings. Remote meetings can be held anytime and people can link in from anywhere eliminating travel costs and time. The lightweight 2-in-1 tablet PC’s can be used as laptops and perform tasks such as recording memos with an electronic pen. Mitsubishi Electric has been working on improving work-style innovations as a top priority since April 2016. The company strives to help employees maintain better work-life balance to maintain physical and mental health. A key change for the company was to improve business efficiency by trimming meeting agendas and lowering the frequency of meetings. Mitsubishi Electric is held in the Global Contrarian Fund and the Global Opportunities managed account portfolio. 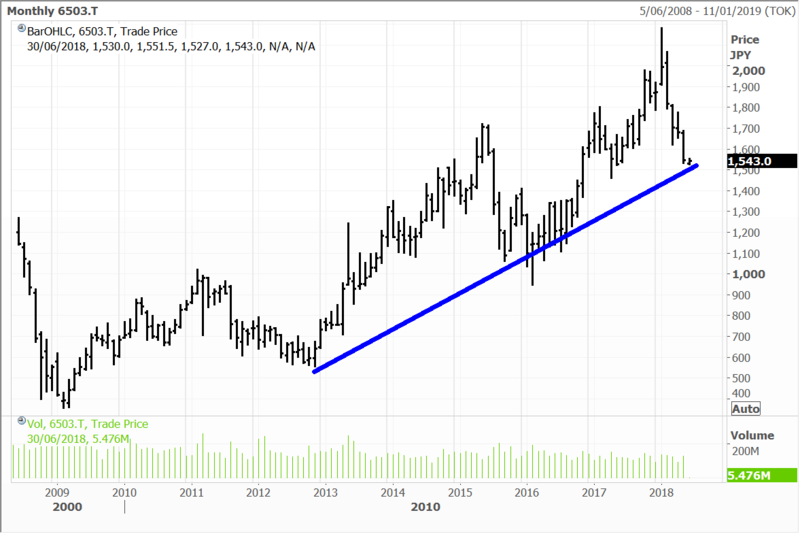 Disclosure: The Fat Prophets Global Contrarian Fund declares a holding in: Mitsubishi Electric.